As I haven’t found much time to scrap lately, this little project satiated my need to do some paper crafting. I’ve made some mini matchbook notepads. I’ve seen some elaborate tutorials and examples online but it was easy enough that I didn’t need to follow one. Best of all, I just used some of my paper scraps. I cut some of different length and width. Then I used my scoring board and bone folder to create the folds. Then I took some regular white paper and cut small squares for the actual pages. 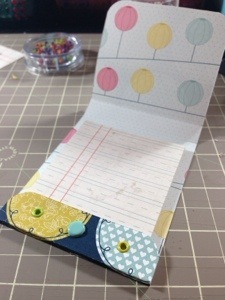 For the bigger matchbook, I used some scrapbook paper. 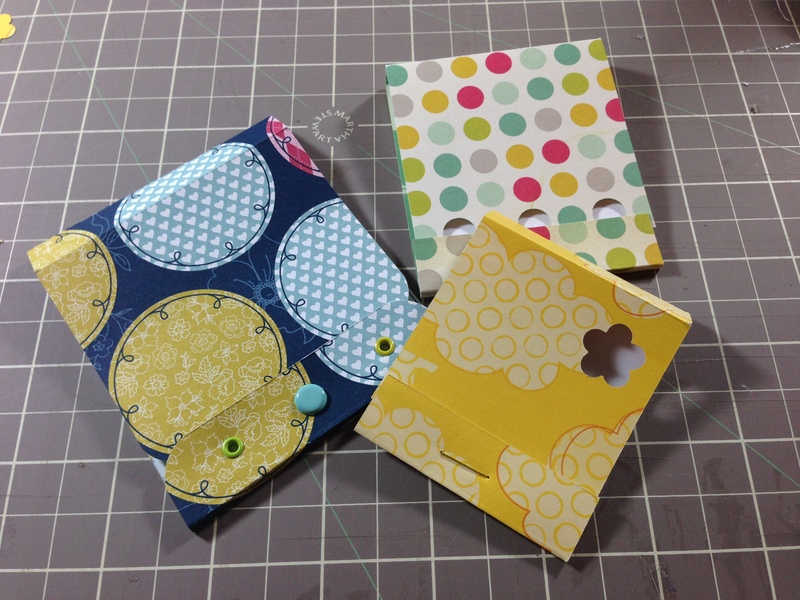 I stapled the pages on the bottom for the two smaller matchbooks and used my crop-a-dile with some eyelets and a brad for the bigger one. These would be perfect as little giveaways and there are so many ways to personalize it. Ahh, my craft hunger has been satisfied! Now on to the next project! 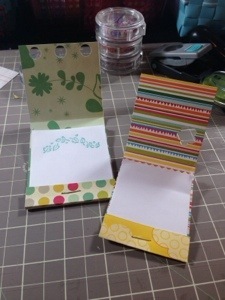 This entry was tagged Crafts, crop-a-dile, cut, folds, matchbook, notepad, paper, paper crafts, punch, scrap, scrap paper. Bookmark the permalink.